Happy Tuesday everyone! I haven’t been posting recipes for the last week (but you can still look at all the things I bake on my Instagram account, so don’t forget to follow me there). I’ve been a little bit busy with other things so I did not have the time to sit and write down all the recipes, but here I am! Summer starts in a couple of days (it’s been super hot here in Northern California) and we just joined a boat club at Lake Berryessa, so we might spend a good amount of our Summer at the lake having some fun. I’m sure I’ll make a post about it and be ready for all the pictures to come! 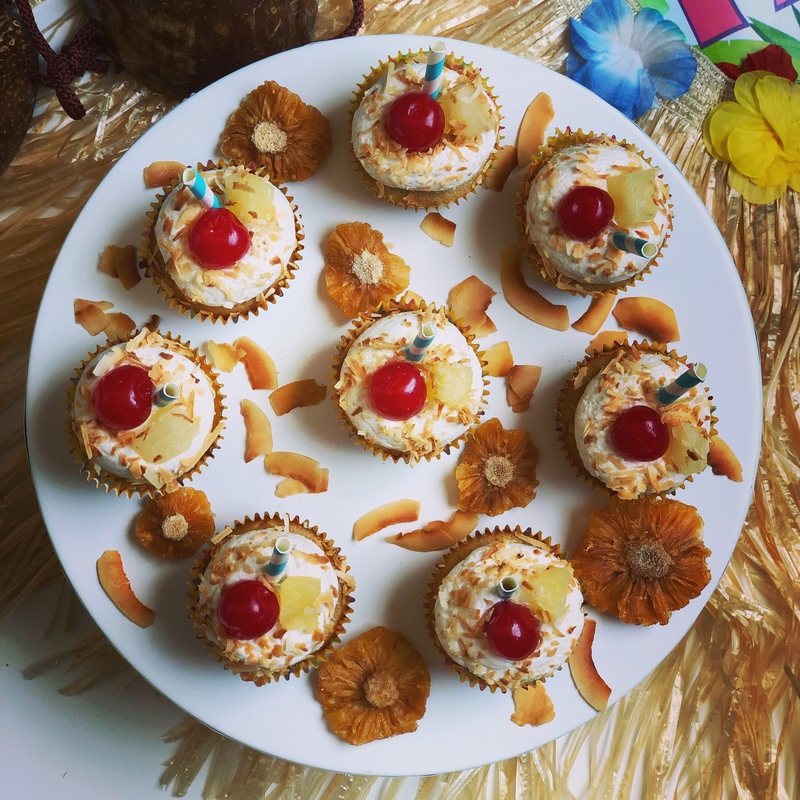 This recipe is about pina colada cupcakes! Who doesn’t love pina coladas in a hot day? I love them. I remember I had a lot of these tropical drinks when we were at Cancun relaxing by the pool…. ok… I really want to go back to one of those all inclusive Mexican resorts soon! 1.- Preheat oven to 350 F. Line muffin pans with cupcake liners. Set aside. 2.- In a medium bowl, sift flour, baking powder, baking soda and salt. Set aside. 3.- In microwave- safe bowl, melt butter in the microwave. Whisk in both sugars. Add eggs, pineapple juice, coconut milk, vanilla and rum, mix until combined. 4.- Add dry ingredients into the wet ingredients (slowly), mix until no lumps remains. Add crushed pineapple and mix for 20 seconds. 5.- Fill cupcake liners 2/3 (not more otherwise they will overflow). Bake for 18-20 minutes or until a toothpick inserted in the center comes out clean. Cool completely before frosting. 1.- In a bowl of a stand mixer and with the paddle attachment, beat the butter on medium speed for about 4 minutes until smooth and creamy. Turn mixer off and add powdered sugar in 2 batches, cream, vanilla, coconut extract and rum. Mix on low for 2 minutes then increase to high speed and mix for 4 minutes. Please, if you think the frosting is too thin, add a bit more of powdered sugar . Add a pinch of salt if it’s too sweet. 2.- Frost cupcakes. I used Ateco #808. 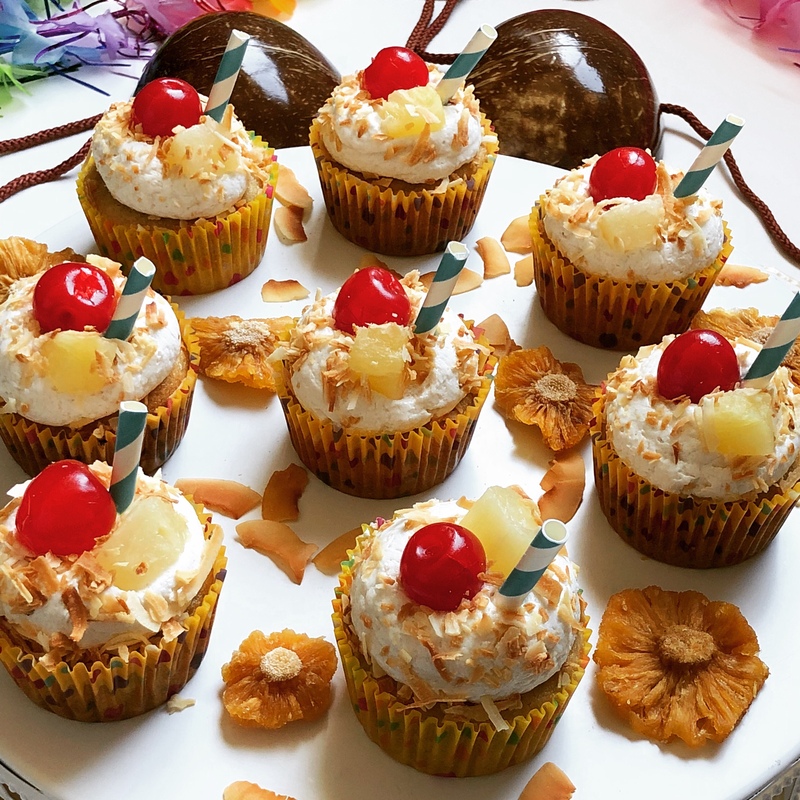 3.- Decorate with pineapple chunks, maraschino cherries and toasted coconut. 4.- Store the cupcakes in an airtight container at room temperature for up 2 days. 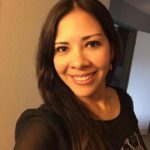 This entry was posted in Recipes and tagged buttercream, cake, cupcakes, dessert, food blogger, piña colada, piña colada cupcakes, recipe.